The action is taken by the Assistant Commissioner Taxila. There was another board which also reads something like that but its picture was not taken. The central road of commercial area and beyond seems to have been seized which means a number of commercial plots have come under the disputed land. There is no further update available yet on this issue, however we will be updating on this issue as soon as more information is received. 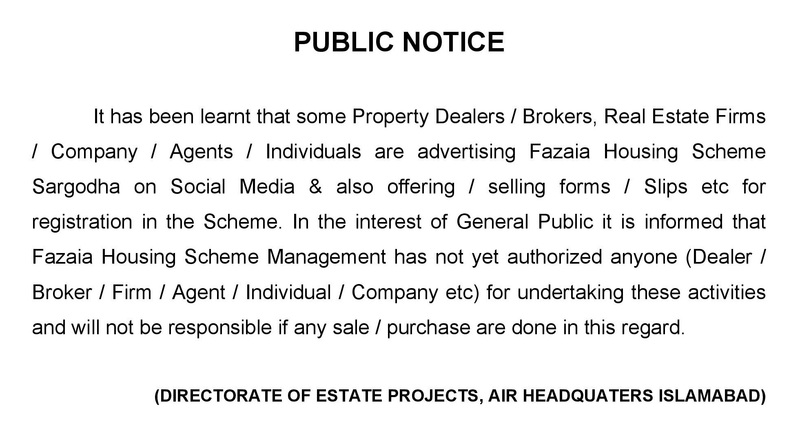 Bait-ul-Maal, an institution of the Government of Pakistan, has claimed 300 Kanal of land in B-17 E block Islamabad. The area approximately 300 Kanals has been blocked by Bait-ul-Maal and a Notice Board has been pitched up on ground. This is a bad news for the allottees of B-17 E block, as many residential plots as well as commercial plots have come under the seized land. Sources say that this issue will be resolved soon as this land will be put up for open auction by the Government and MPCHS will get back this land. The prices in E block were already down due to slow market in Islamabad. This additional blow is expected to crash it down further. This article is meant to serve those who were thinking of purchasing plots in B-17 E block, or who already have plots in E block. Allottees do not need to panic, just wait for the land auction which may take some time. Potential buyers should stay away from purchasing at this time, as your investment at this time will be stuck until the issue is resolved.